Because it makes my soup look mild and taste great. That is the reply most women we ask the above question gave until we let them see more valid reasons why they should eat tomatoes. They have been eating tomatoes simply because they were brought up to do so. If you answer either 'Yes' or 'No' continue reading and you will see valid reasons why we should eat tomatoes. Although not all types of cancer but cancer such as breast, colorectal, prostate and stomach cancer. This is because of lutein, zeaxanthin and the high level of lycopene which is a natural antioxidant that have the ability to fight cancer causing cells. Tomatoes lowers blood pressure and also reduces cholesterol level because of its Vitamin B and potassium. It also prevent life threatening heart problems such as high blood pressure, heart attack and stroke. Quercetin and kaempferol are two major flavonoids in tomato skin, that have the ability to counter inflammation. The appearance and texture of your hair can be improved by drinking tomato juice. Tomato juice revitalize hair growth and strengthen tufts of hair. Carnitine is an amino acid that has the ability to increase the capacity for the body to burn fat by about 30%. Tomatoes with all stimulate the production of carnitine. When you eat foods that are high in fibre and water content you will have regular bowel movement and you will be well hydrated this fighting constipation. 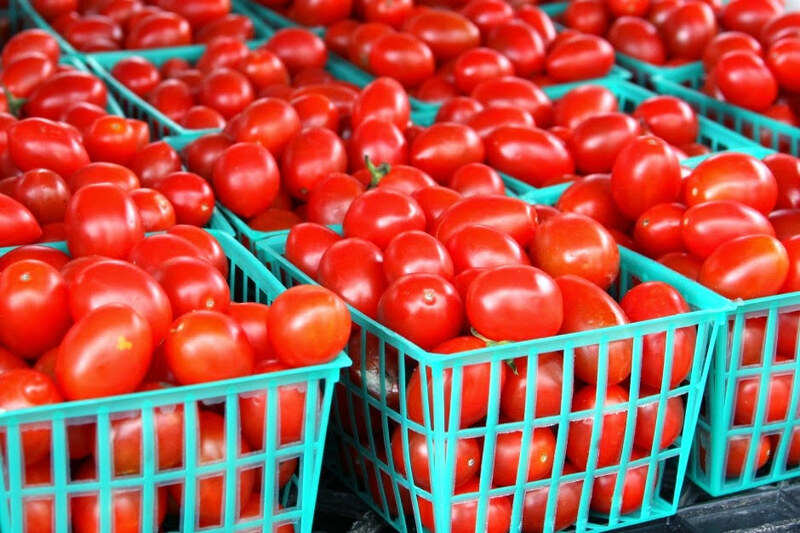 Tomatoes are high in fibre and water content.